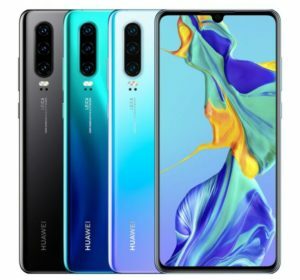 Huawei has finally launched its most awaited smartphone Huawei P30 Pro at an event held in New Delhi. It is the latest flagship smartphone by company and loaded with new features. The main highlights of P30 are Curved AMOLED curved glass display , Kirin 980 processor, and Leica triple-lens camera with 40MP RYYB sensor + 3x Zoom sensor. The device also gets Gradient finish at the rear which we have seen in Redmi Note 7 Pro as well. Other Key features include in-display fingerprint sensor , 32MP Front Facing Camera and water + dust resistant body with IP53 Rating. The device comes with a curved 6.47-inch AMOLED Display with pixel resolution of 2340 x 1080 pixels. Coming to the Performance ,the Huawei P30 Pro is powered by Kirin 980 flagship processor coupled with up to 8GB RAM. As far as Storage is concerned , the smartphone gets Upto 128GB Internal Storage option. The smartphone runs on Android 9.0 Pie out of the box with EMUI 9.0 on top. Talking about camera , P30 comes with Leica Triple Rear camera setup which is its main highlight. It comes with a 40MP primary camera with f/1.6 aperture and a secondary 16MP Ultra Wide Angle lens with f/2.2 aperture and 8MP 3x Telephoto lens with f/2.4 aperture. The camera of the smartphone also supports OIS and AIS. There is a 32MP front Facing camera with f/2.0 aperture. Coming to the Connectivity options, Huawei P30 gets GPS (L1 + L5 dual band),Dual 4G VoLTE , Bluetooth 5 LE, NFC, Wi-Fi 802.11 ac (2.4GHz and 5GHz) (wave2) and USB Type C port. The Smartphone is powered by 4200mAh battery which also supports Huawei SuperCharge fast charging. 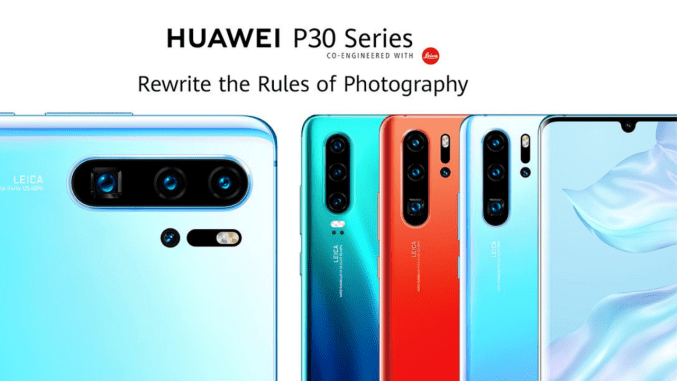 Huawei has priced the 6GB RAM Variant of P30 at Rs. 71,990 in India. The smartphone comes in one color option Breathing Crystal color. The smartphone can be purchased from Amazon Exclusively.